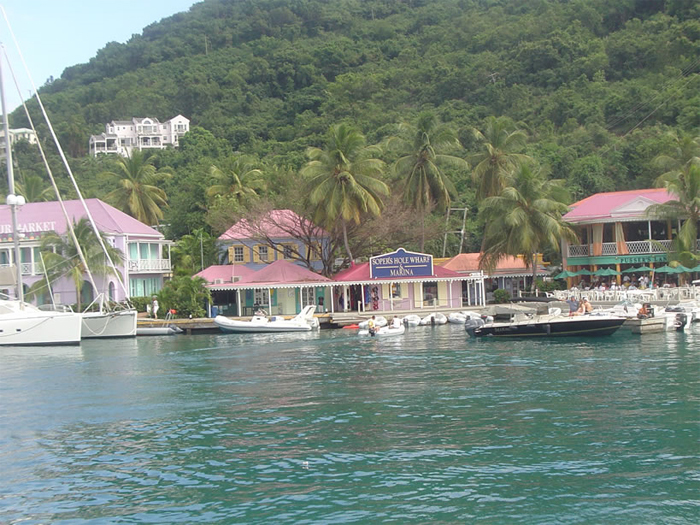 Road Town in Tortola is the capital of the British Virgin Islands with 7,000 inhabitants. There are many hotels and resorts around the island for guests to enjoy before and after their private sailing vacation. Many villas abound, as well my favorite, Summer Heights, www.summerheights.com. Call Barry Rice directly. This is my favorite villa on the island; the view is impossible to beat. At night, those colored tree frogs croak you to sleep. You can have full or no service at this villa. There are plenty of great beaches to enjoy on Tortola. Cain Garden Bay is possibly the best beach location on Tortola. This beach boasts 3-4 restaurants which all have bands playing island music nightly. A 200-year-old rum distillery plant still makes the odd bottle of rum the old way. Surfers flock to this one bay because of the reef break to surf. The break is a fast one which normally gives a hot curl to disappear into, but 3 feet underwater are coral outcroppings which deliver this surfer's wave. Apple Bay and Brewers Bay are all focal points for great beaches, with Brewers Bay my favorite. West End Tortola, also called Sopers Hole, is a shopper's little Mecca. This pastel-colored shopping center is set on the water between coconut palms and a favorite snapshot for photographers. Driving around Tortola will not take a long time, but it does have magnificent views from its 1,700-foot mountain tops. You can see Anegada as well as all the little islands you sail to. The airport on Beef Island is connected by a small bridge. 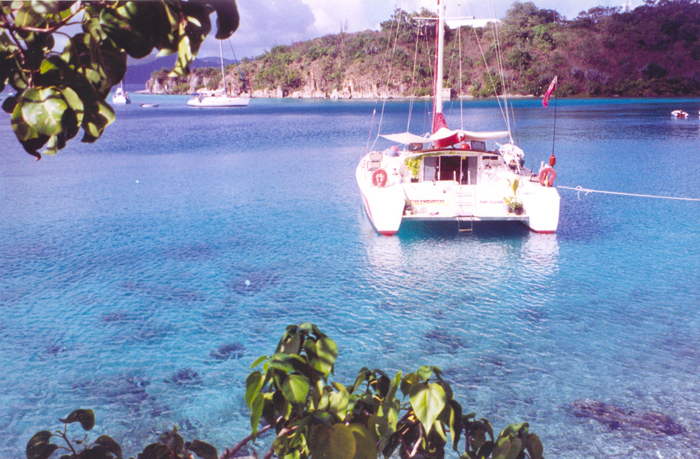 Tortola is a full-service island for yachtsmen with all sizes of vessels. Supermarkets with the very best wines and cuisines support this industry. 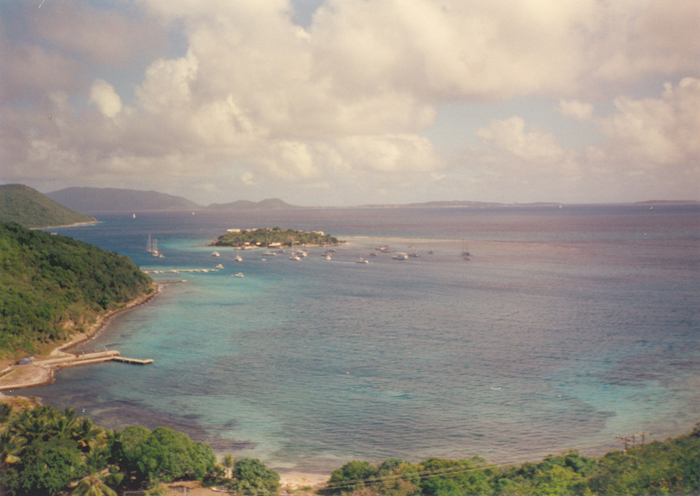 It is true when you hear the words that the BVIs are the world's most popular islands. The reason is that there are 32 islands which are set in a rough circle, and it is this circle which stops the ocean swell from penetrating the huge Sir Francis Drake Channel. The wind can blow, yet there is very little swell on the water. Look in the background of most of the pictures you see of the Virgin Islands and see that very little movement by the swell can be found. This is not the place to find waves, and that is what makes this sailing adventure perfect for everyone. Islands can all be seen all the time, making sailing one hour tops; this leaves more time for exploring uninhabited islands, snorkeling, water skiing or simply relaxing under a coconut palm with your favorite book. This Caribbean water is very warm indeed; it really is crystal clear, and the white powder beaches have many coconut palms on them. Mother Nature did her best work in the British Virgin Islands, even underwater, by giving these islands the world's third largest barrier reef. One mile south of Peter Island is a 7,000-foot drop-off, and this is where the world's largest blue marlin was caught. I have personally seen a picture of a 500-lb. big-eyed tuna which was caught off the BVI. 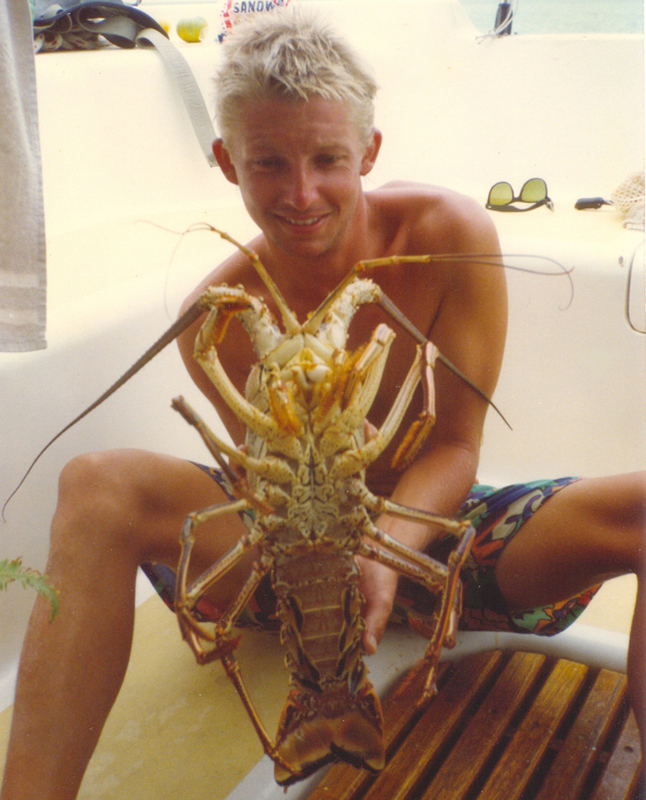 The largest lobster I have seen caught was 11.3 lbs and that looked like it was the same size as an Alsatian puppy. To get the maximum out of a private yacht vacation, guests need to charter a virgin island catamaran which is fully crewed. 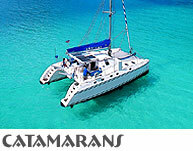 What is a Catamaran charter? All my life, I believed that the pirate tales were not true, just fairytales, but that is not true. They have been embellished, but basically many of them ring true. These pirate tales take on a whole new meaning when you live there for a few years. 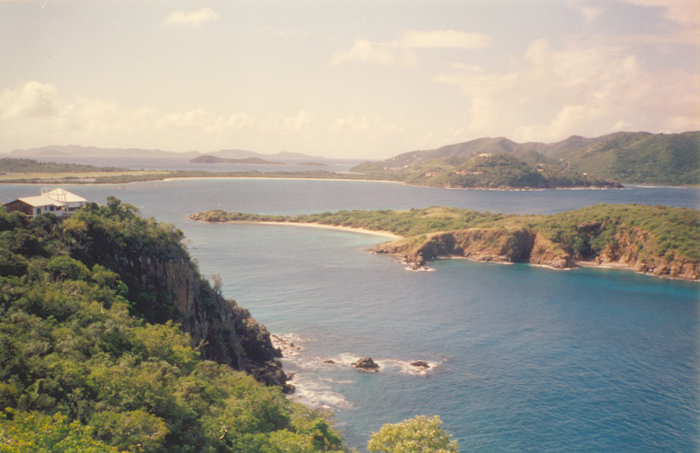 Robert Louis Stevenson's Treasure Island is said to be taken from the 3 pirate caves on Norman Island. The Bight, the bay that holds these caves, is said to be a spot where pirates could clean the bottom of their yacht (for speed) as well as have a "lookout post" at the top of the mountain and all the time be protected from 300 degrees of cover. This would have been absolutely perfect for them, and it is said that this is exactly what the Bight was used for. It really makes sense. Today, Norman Island is the home of the Willy T. The Willy T is a two mast Wooden Baltic Trader which is anchored permanently in this harbor we call the Bight. Doctor William Thornton is the gentleman who lived in the British Virgin Islands, and he is the man who was the architect for the Capitol in Washington DC. His application was late as he missed the deadline, but they allowed it and today we have that gorgeous building. This is a very small outcropping of rocks which guests snorkel or scuba dive around. The Indians is really a pinnacle that sticks out of the water. The surrounding seabed is roughly 50 feet deep, and it suddenly leaps up this cliff face to a pinnacle sticking out of the water, so snorkeling is great. You can see all the way down the slopes as well as onto the seabed 50 feet below, lots of sea life coral life, etc. 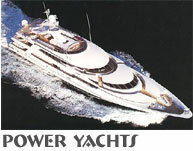 Many luxury yachts of this caliber are capable of cruising speeds of about 25 mph. A private yacht vacation is one that will create memories for a lifetime. Many catamaran sailing yachts of this type are capable of speeds in excess of 20 knots. A luxury yacht vacation for the ultimate experience. 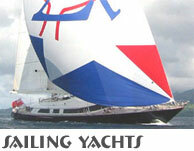 Many sailing yachts are capable of maintaining speeds of over 20 knots. A chartered yacht vacation you will not soon forget. This island is owned by the president of Amway and was badly damaged by Hurricane Hugo, a category 5 hurricane which struck the British Virgins in 1989. The daughter of Amway's president badly wanted the hotel and marina to be repaired, and so it was. Today, Peter Island boasts a wonderful marina, restaurants on the beach and a formal restaurant within the famous Peter Island Resort. Deadman's Bay is also part of this hotel, and the second fable about Blackbeard leaving a few men on the island of Dead Chest with a bottle of rum to die seems also to have some truth in it. Yo ho ho and a bottle of rum, 15 men down on Deadman's chest. Well, right next to Peter Island is the island of Deadman's Chest and across the bay (named Deadman's Bay) is Peter Island. It is said that the name Deadman's Bay is because some of these pirates tried to swim across this small bay only to be found dead on the beach, hence the name Deadman's Bay. Little Harbor Peter Island is another favorite, but it is Great Harbor Peter Island which has recent history we all can relate to. The wreck of the Rhone is on Slat Island, but she was at anchor in Great Harbor Peter Island and decided to run for deep water. There was no time, so she dropped her chain holding her anchor and fled, only to be caught just as she was getting near deep water. The wind pushed her onto Slat Island where she broke up and has served as the scene for the film 'The Deep' starring Nick Nolte. Every year, the Queen of England is handed 2 bags of salt, which was the original amount paid by the people who were renting Salt Island from the Queen, and it still gets paid today. Salt Island has a large pan of dried salt water in the middle of the island, and brothers pack the salt into bags and sell it to merchants; not a good trade today. Salt Island is also the home of the famous wreck the Rhone, so if you are a scuba diver and wish to see where 'The Deep' was made, this is a 'must-do' dive for you. 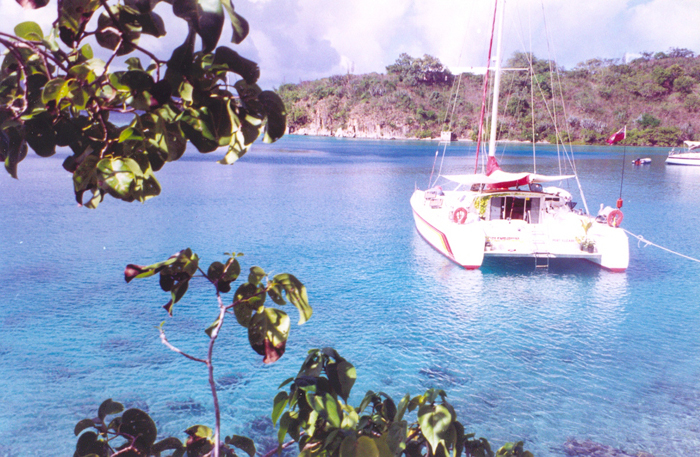 Catamaran Quest, a popular catamaran for scuba divers is your peferct charter yacht to explore these diving locations. This is a great little island to stop overnight at; it boasts a beach restaurant and bar almost in the water, with a beach encrusted with coconut palms. Don Johnson and Melanie Griffiths enjoyed Dinner here one evening in 1994. 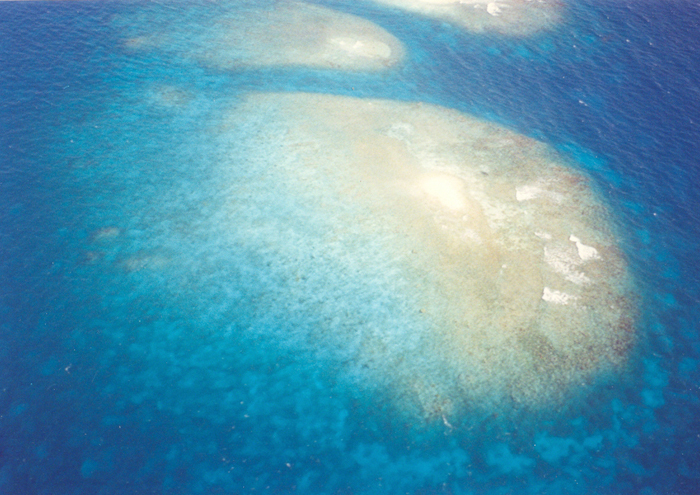 A few great snorkeling and scuba locations are set around Cooper Island. Cooper Island has 4 chalets for vacationers to stay in. A scuba shop is set between coconut palms for the scuba enthusiast. On the other side of Cooper Island are 2 other bays to anchor, but they are not as popular as the lee side. This little island looks like ruins. One can imagine what a fallen city looks like toppled into the water; it is a mass of different sized boulders which lead from the land into the water. There is one small lunchtime anchorage called the Arena. The Arena is not well protected, so it is just a lunchtime stop, this is where you will be all alone. Here is a true story about the Arena: We had anchored here for lunch with some wonderful Coloradans. Captain Andrew can you catch a fish for us for dinner tonight? Sure was my answer. After a few minutes I hooked a yellow tail snapper and pulled her onto the yacht. As the fish hit the deck the hook came out of it's mouth, so the fish was flapping on the deck next to an open hatch, "well here it comes" the fish fell through the hatch and into the toilet bowl still flapping away when I went down to pick it up out of the toilet bowl. We were cracking up with laughter when we let the fish swim away. That fish was not going to be eaten by anyone. Here is one of the world's most magnificent islands in the sun. 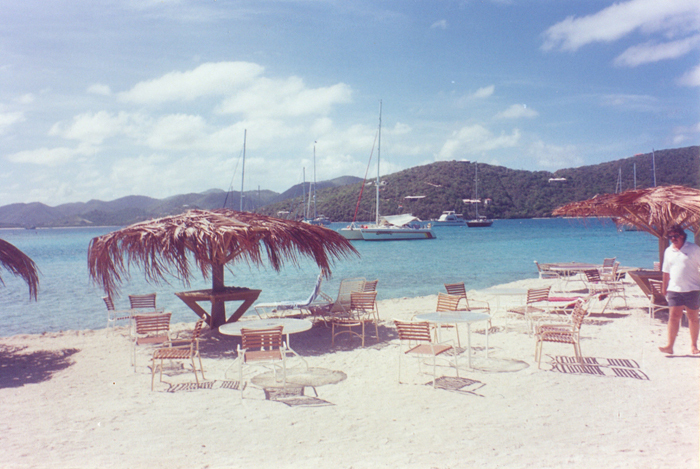 There are a few aspects which are on Virgin Gorda which cannot be found anywhere else in the Caribbean chain of islands. They are the Baths and the 16th century cannons in 10 feet of water. The Baths and gigantic round granite boulders, 40 x 30 feet around, all of which were spewed red hot from the depths of the earth millions of years ago. As this liquid hit the atmosphere, it solidified, coming to rest in this small area of the Caribbean. The name the Baths has come from these large boulders lying half-in half-out of the shallow water, creating a shallow pool. The main section inside these boulders is called the Cathedral where you can clearly see copper and iron slowly weeping from the boulders. It is, however, the wonderful walk from the Baths to Devil's Bay which is most interesting. The path is thick with green undergrowth and the odd boulder; this opens out to a gorgeous bay named Devil's Bay. Devil's Bay was so named because this is where smugglers would be at the dead of night. The Baths is really a stop that should not be missed, and the walk to Devil's Bay is also a not to be missed. The Baths is a lunchtime stop, as it is not protected from swells. This anchorage should not be tackled by captains who do not know exactly how to get into Savannah Bay, but this is a great out of the way anchorage. Normally you would be by yourself, but it really is tough to get into. There is nothing special here to warrant asking your captain to venture into this Bay, so keep your time for the good stuff. The next one, Long Bay, is magnificent. Many of my past guests have said that this is their favorite anchorage, yet there are no coconut palms. This anchorage is magnificent, especially for a late afternoon stop for the entire night. It is the view all the way down the Sir Francis Drake Channel with islands surrounding you all the way. In the early evening, the entire water and wind calm down to a glassy specter. 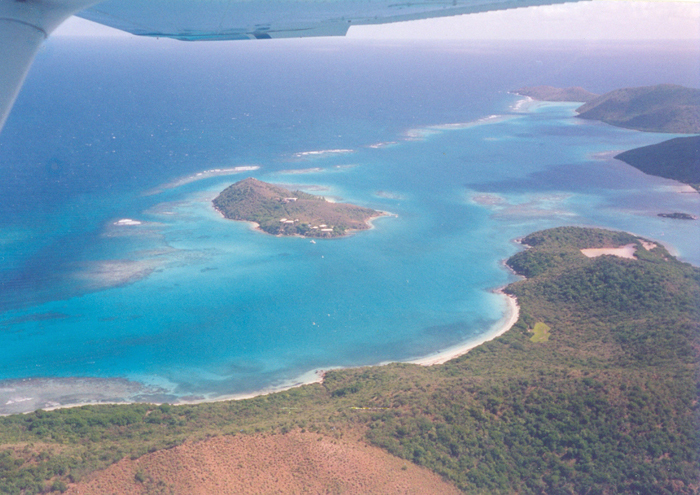 The footprint-free white beach gleams as you take in this gorgeous view all the way down to St Thomas in the USVI. On a moonlit night, you can see each grain of sand on the seabed 15 feet below. 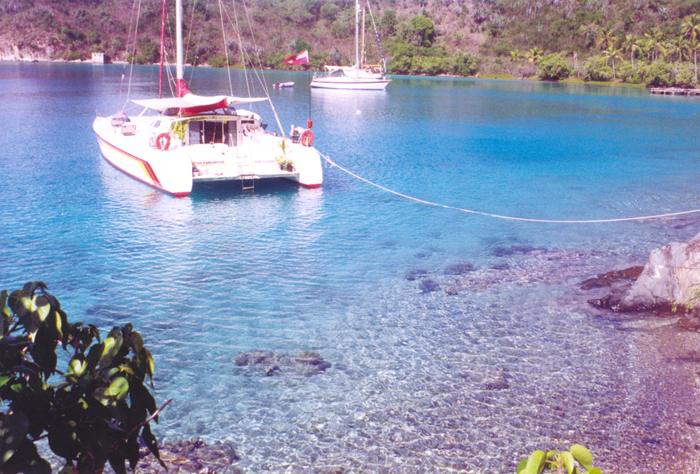 The snorkeling is excellent, a good scuba spot, all water sports can be done here and at night it is very still, provided you tie your yacht to one of the 8-foot round boulders on the beach. 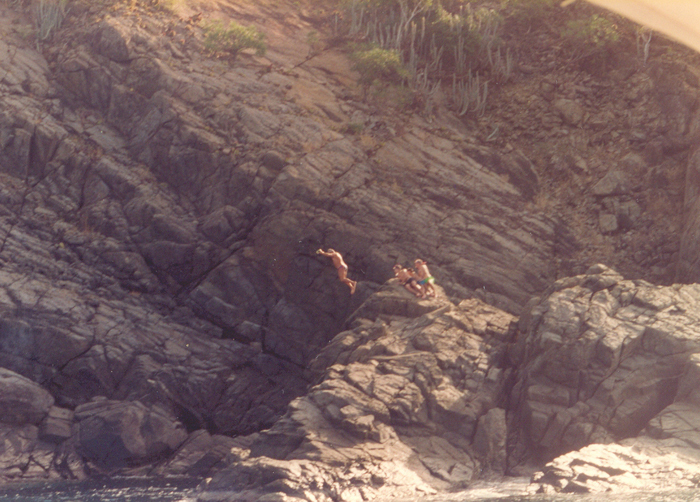 There is a rock 27 feet above a deep seawater pool where children and adults can jump off. Long Bay Virgin Gorda is next to Mountain Point Virgin Gorda. 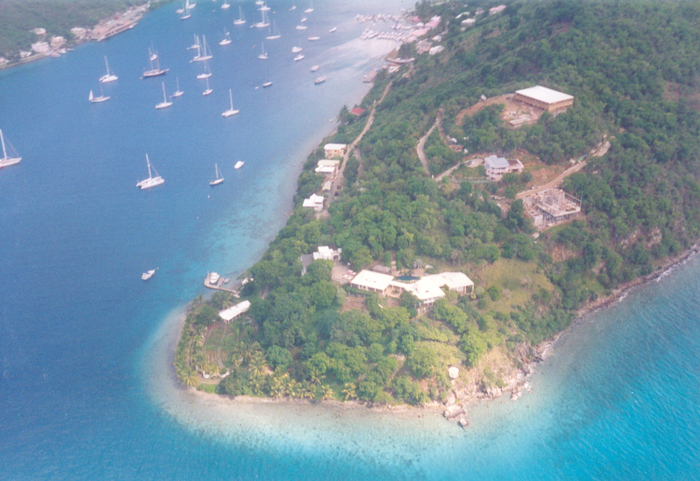 But the jewel of Virgin Gorda is the Bitter End Yacht Club in the North Sound Virgin Gorda. One admiral described the North Sound Virgin Gorda to the King of England as, "Here is a large well protected harbor where we can anchor the entire fleet of England with 300 degrees protection and there is no sign of dragons or any other sea monsters". The Bitter End Yacht Club is a wonder to man, as there are no roads to this 21st century resort. The only way to get to this resort is by land, and that also means every small stone had to be brought here to build this fantastic resort. There are so many things to do at The Bitter End Yacht Club that justifying a 2-day stay here is easy. 200 yards to the east of the Bitter End Yacht Club is Coulequan Barrier Reef, so snorkel on the outside of this barrier reef and visit the 4 16th century cannons in 10 feet of water. 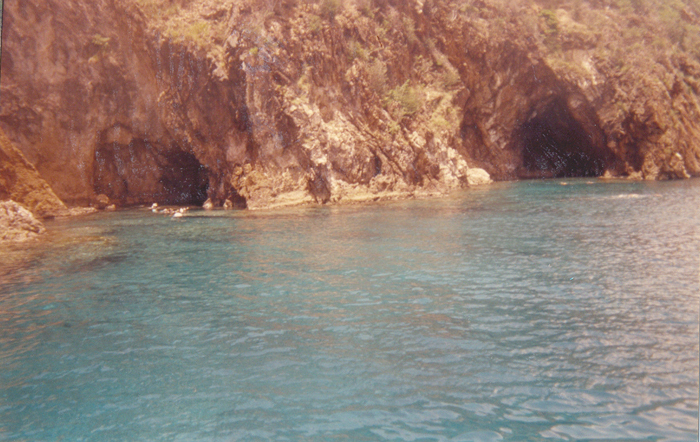 If you are on vacation onboard a catamaran, then make sure you venture into the Eustatia Sound. This is a huge lagoon where no yachts can get into, so seeing the odd catamaran there is great. There are a host of anchorages within the Eustatia Sound Virgin Gorda, the best of which is Deep Bay, and my other favorite is right behind Eustatia Island. This island belongs to Richard Branson, the owner of Virgin Air and the past owner of Virgin Records. 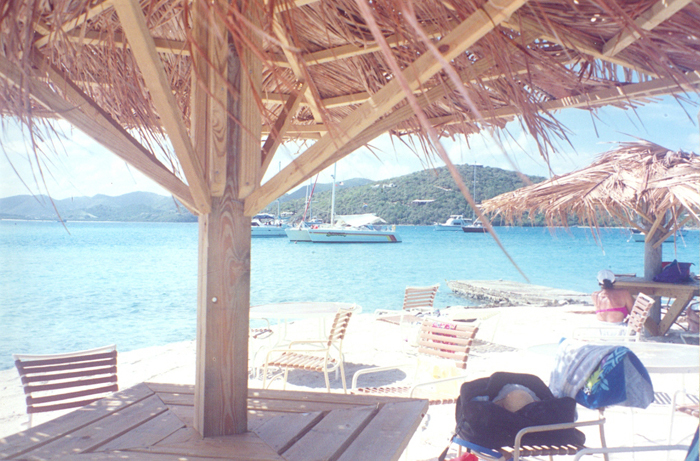 Yachtsmen are welcome to come into the bay at Necker Island, but it is requested not to use the beach. Royalty pay $10,000 a day to stay at Necker Island, as did Lady Di when she was alive. 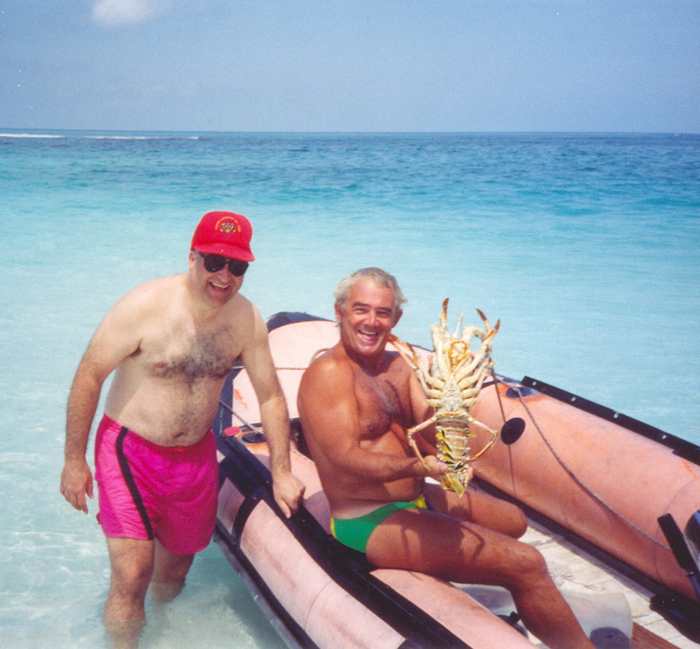 Your captain better know exactly how to get into the Necker Island Bay, or he will not want to attempt this. There is a small narrow entrance to the entire Necker Island. Sitting at Lunch one day we heard a loud crunching sound, so all heads turned to see what caused that one. A yacht run by a French Gentleman had run aground as he attempted to come into the Necker Islands bay by sailing right over a huge coral reef. The yacht now stood at an angle and there was not a sound to be heard, even the birds stopped tweeting. I jumped onto my dinghy and went to assist. Their big problem was their rudder was stuck firmly on a coral hole. The ladies on board were crying, I asked the captain to put the motor back into gear and to drive out after the nose of my dinghy revved at maximum. The idea was to push the yacht over at a 45 degree angle so that the rudder would clear the coral. After 5 or 6 tries it did and off they went, I am sure in their hearts they were thanking me but under so much stress sometimes thank yous are missed. 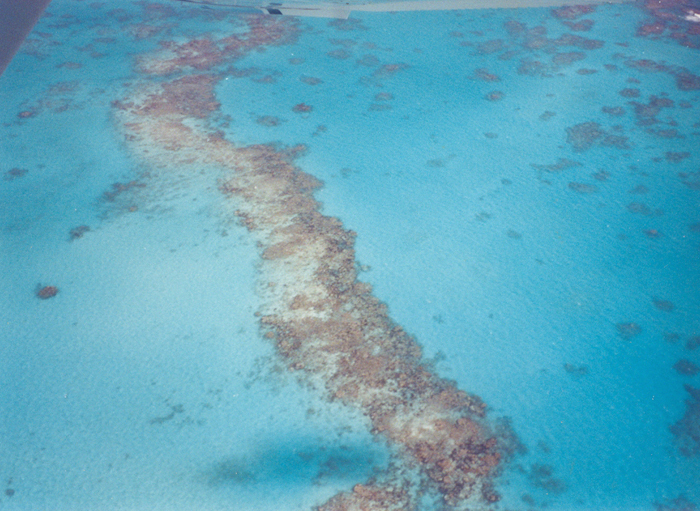 This is the only coral atoll in the Caribbean chain apart from Barbuda, near Antigua 250 miles away. Snorkeling around the east side of Anegada is difficult because the calcium powder remains suspended in the water almost permanently, so visibility is 2-3 feet max. The northern/western side is fine because a barrier reef protects the lagoons and bays on that end. Anegada is roughly the same size as Tortola, but only 161 people live at their main town. My wife and I were riding fold-up bicycles to this settlement, and all the roads are dirt roads. As we got to the settlement, we came across a tarred four-way stop; the tar went 40 feet in all 4 directions with stop signs and painted road just as if we were back in the USA. We cracked up laughing because, as far as we could see, there was no traffic and we could see in all directions. There is a large wild flamingo pond on the western side where 22 Flamingos are having fun looking for pink crustaceans. 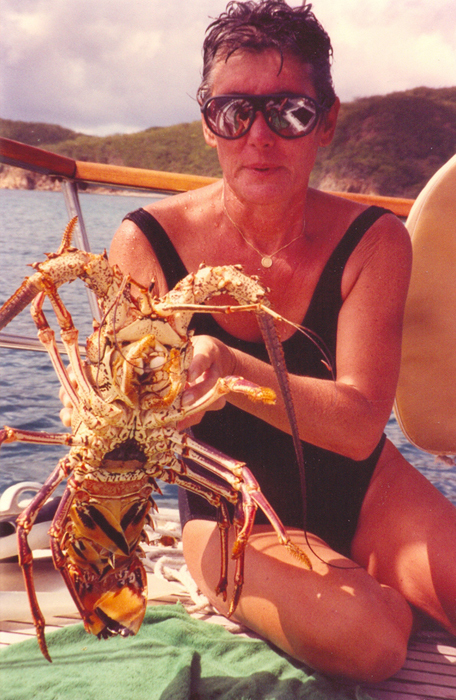 Wilfred's Pomato Point Restaurant is a must-do stop for one evening dinnertime meal; lobsters are big on the menu. 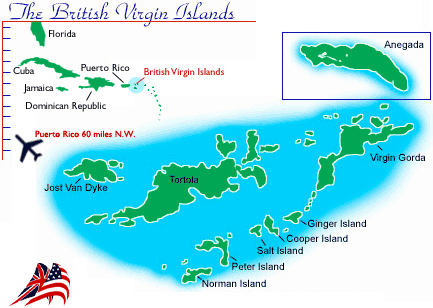 This island was donated to the British Virgin Islands by Mr. Rockefeller provided it remained uninhabited and also a national park. What a wonderful little island. Make an effort to do a short walk around this island. Take a camera, bug spray and flip-flops to walk in. This walk starts from the soft white beach, then through thick coconut palms into thick undergrowth and then starts to lead slowly up a hill. At the top of this hill, you have possibly climbed 80 feet. The view from here is breathtaking; you can look directly down at the shallow water and 180 opposite your view is over the tops of the coconut palms and at your vessel at anchor. You slowly wind your way down the opposite side of this island, back through dense coconut palms bird life and back to the beach. This is the home of Foxy's the most requested New Year's Eve location after Trafalgar Square in England and Times Square in New York. Every New Year's eve at Foxy's is filled with yachts and people. White Bay is a great anchorage around the corner from Foxy's, and the home of the Soggy Dollar Bar, named Soggy Dollar because the cruise ship folks have to walk from the water onto the beach and most folks get wet. Here is my all time favorite island in the entire Caribbean, this little island is roughly 100 yards in diameter and sticks out of the water by 70 feet, it has a wonderful white beach, coconut palms and crystal clear calm water to do water sports in, but the unusual aspect is Marina Cay has her own coral reef surrounding this island. This is a great over night stop, with so much history attached to it. I cannot imagine a more beautiful island in the world than Marina Cay. One day while filling up the water tanks my wife saw a 2 inch little turtle swimming madly passed our yacht, well I got into our tender and picked it up then cruised to some mangrove trees nearby and set it free among the roots, that is where most protection can be found. Hopefully the little turtle lived to be a big beautiful girl. This island has Lee Bay and Cam Bay as anchorages to enjoy, with Cam Bay being a lunchtime stop only. Named Guana Island because one huge rock sticks out of this hill/mountain by 40 feet and the shape is that of an iguana's head. There is a long stretch of white coconut lined beach here, and behind these coconut palms is a large shallow lake with 9 pink wild flamingoes as well. Head to Muskmelon Bay. This is a perfect anchorage where you will be alone, no white beach here, no coconut palms, but a great secluded anchorage in Paradise. Quakers inhabited Great Cameno and Guana Island for many years, today the island is a private island for the rich and famous.